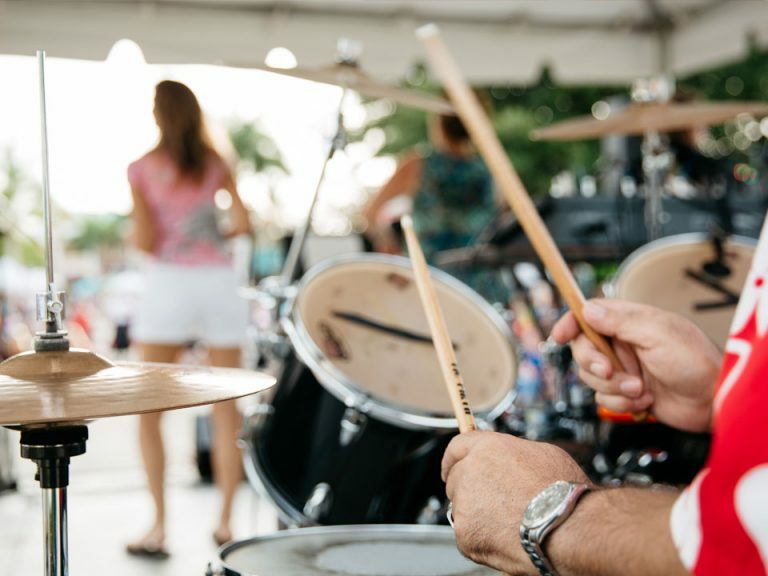 Join us on Lakewood Ranch Main Street from 6 – 9 pm for Music on Main, a free concert series and block party for the public! This event is hosted on the first Friday of each month and will supply lots of family fun. The street is lined with food vendors, beer trucks, and sponsor booths, as well as rides and activities for the kids presented by Grace Community Church. Proceeds from the event will benefit a local non-profit organization each event. 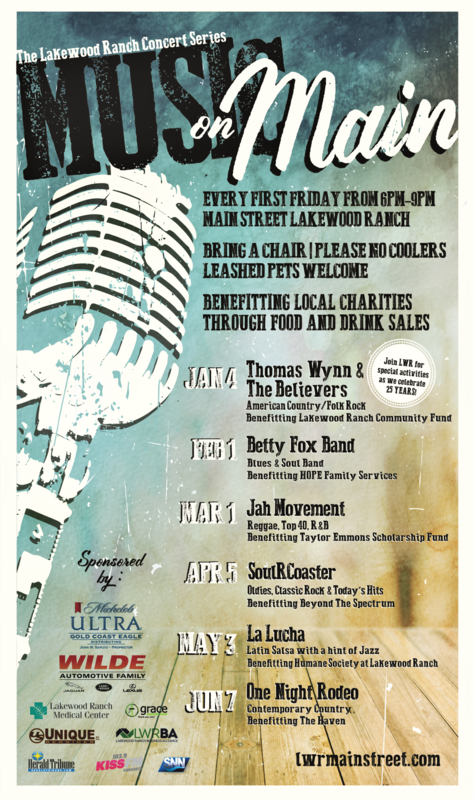 May: La Lucha Band will fill the air with Latin Salsa music with a hint of Jazz and the deejay will keep you dancing with today’s Top 100 hits; the event will benefit Lakewood Ranch Humane Society. June: One Night Rodeo band will fill the air with Contemporary Country music and the deejay will keep you dancing with today’s Top 100 hits; the event will benefit The Haven. Guests are welcome to bring chairs, but please leave coolers at home. Dogs are welcome but must be kept on a short leash. For the safety and enjoyment of all Main Street visitors, Main Street Security will work with the Manatee County Sheriff’s Office to coordinate and enforce the Parent on Site Policy. Our policy requires all visitors under the age of 16 years old of age must be accompanied by an adult after 6pm. This includes all Main Street events and concerts. Any unaccompanied visitors under the age of 16 on the property after 6pm will be asked to leave the property or wait with a security officer until their parents arrive. For more information or to have a presence at this event, please download one of our applications to the right of this page.